A staff favorite! 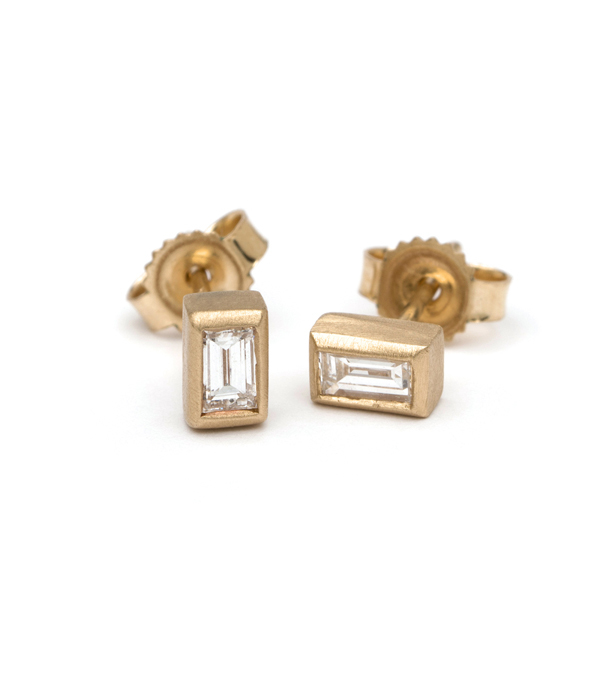 Tiny diamond baguettes encased in a golden bezels, made into studs. Quite possibly the perfect everyday earring.